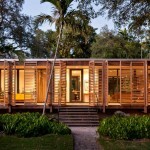 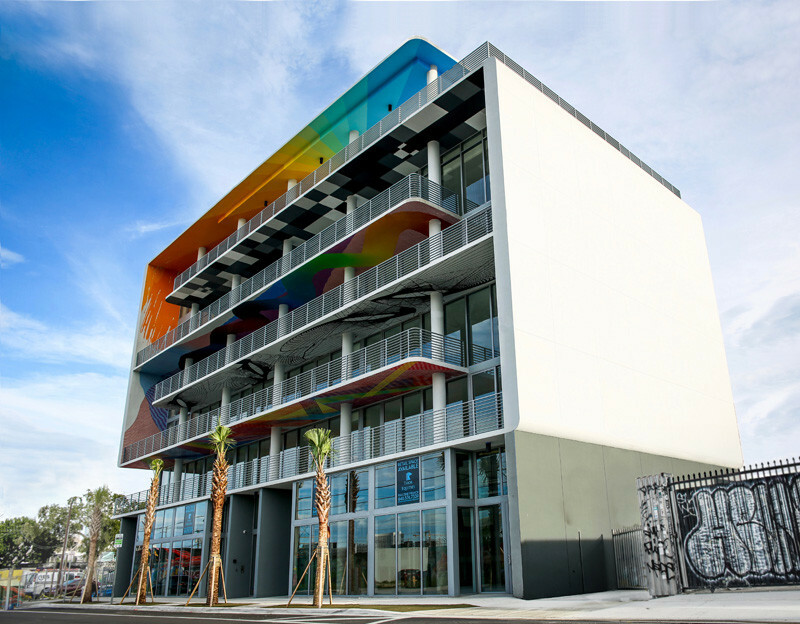 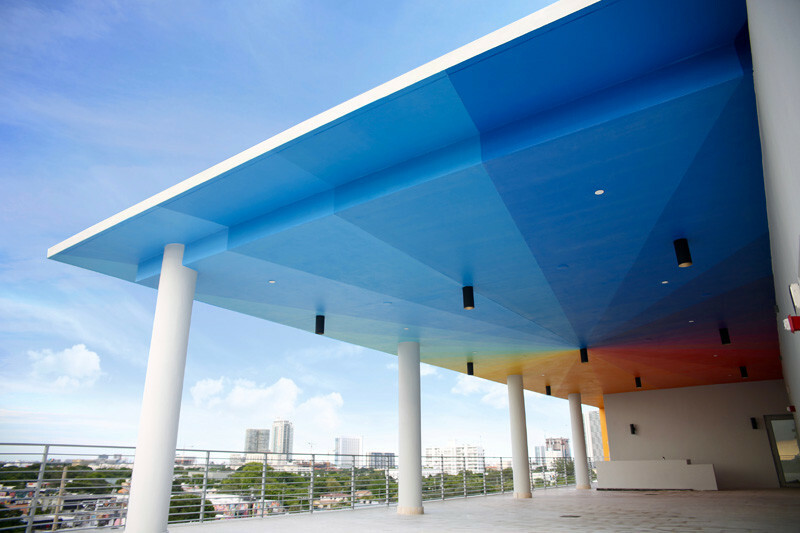 Located in the Wynwood Arts District in Miami, Florida, which is known for its public art, is this new building, designed by architectural firm DFA. 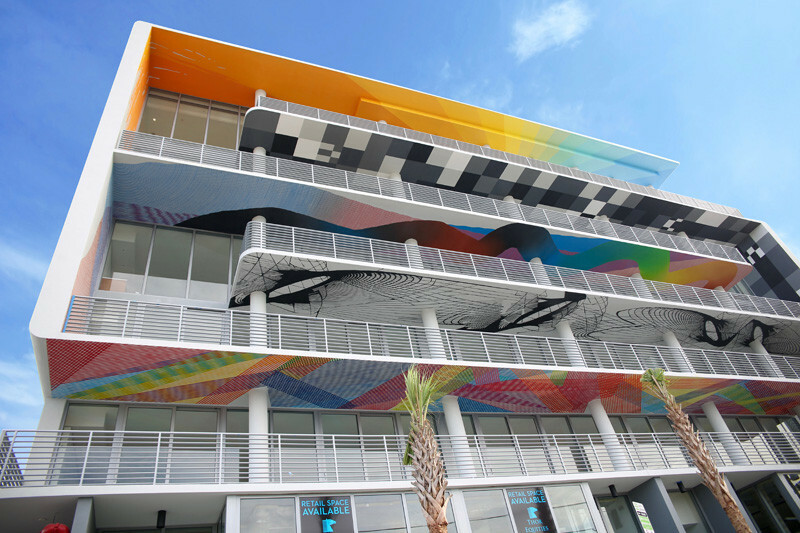 The architects wanted the building to fit in with the neighborhood, so they included public artwork in the design. 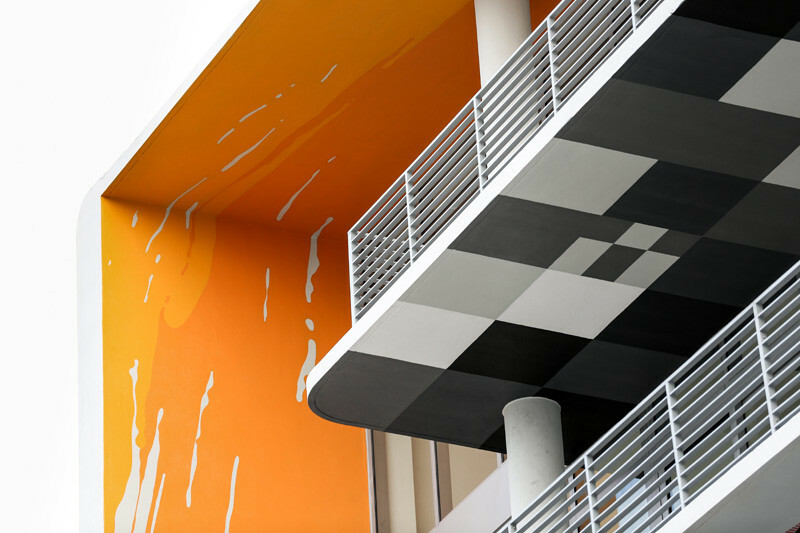 Each floor of the building has been painted by a variety of commissioned artists, so that the art can be enjoyed by anyone walking by on the street. 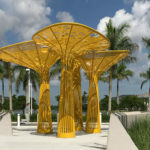 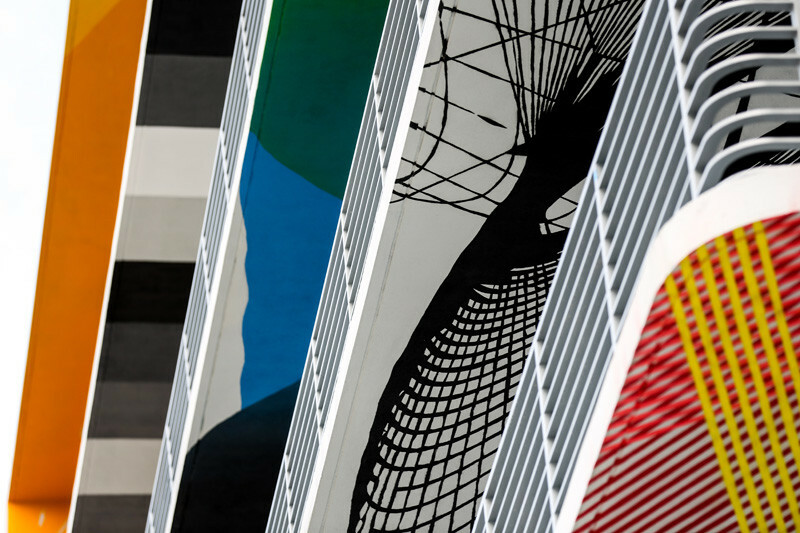 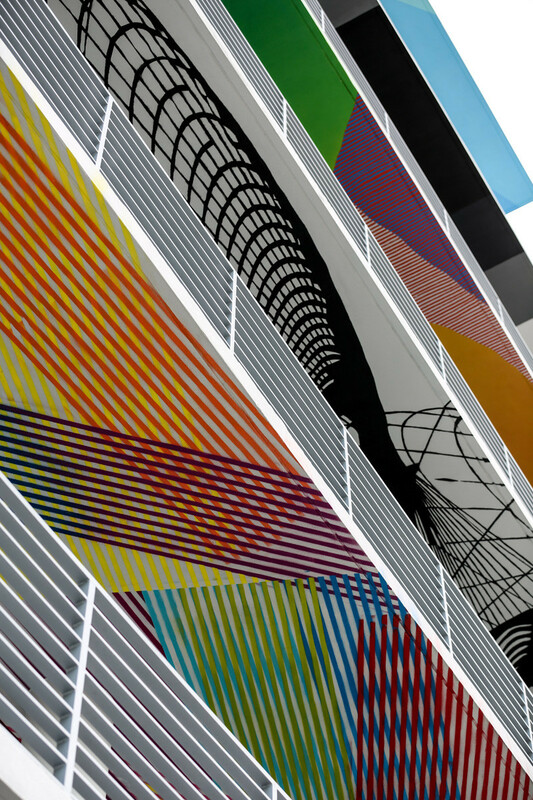 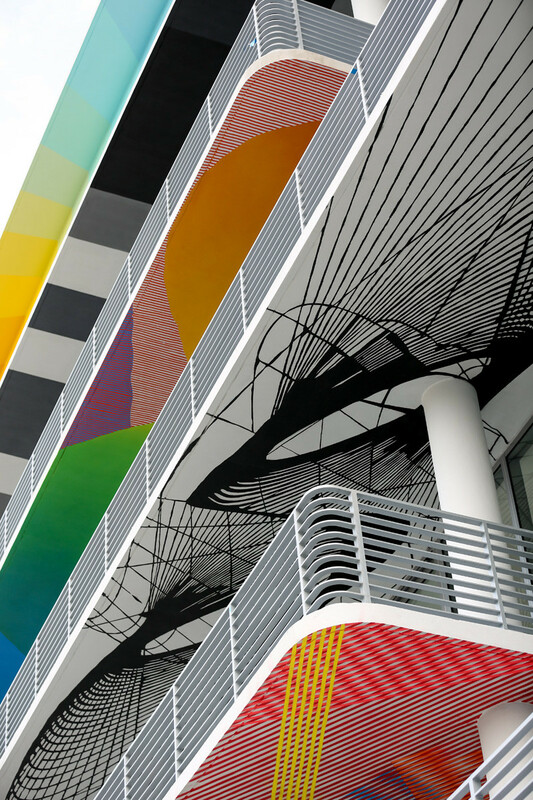 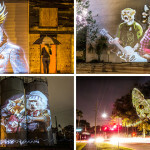 The architects mention that the public artwork can be changed every number of years, allowing it to continuously add to the character of the Wynwood Arts District.